- Pistol Type design, hand-held operation flexible and convenient. - High efficiency, high precision drilling. - Adjustable self-locking chuck, adjustable clamping gear. - Reversible switch, convenient and practical. - Air intake filter design, effective filtering of impurities. 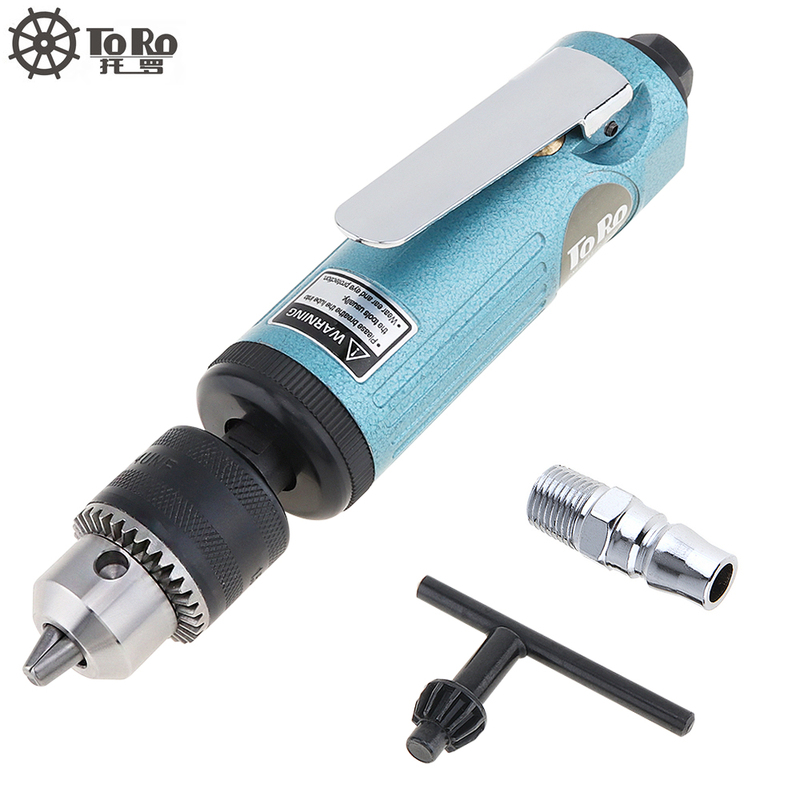 - 3/8 inch bit holder 1.5-10mm holding capacity, you can clip bit, screwdriver bit, grinding head, carving knife, steel brush, emery cloth. - High-quality gear, easy to wear, free to control the speed, easy to align the center, high-intensity work safety. - The scope of application For metal, plastic products powerful drilling, threading and other operations . - Please allow free operation for a few seconds after oiling. - Please apply oil 3-5 times a day. The oil supply method is to inject 0.5cc oil from the air inlet. - Please use #15 pneumatic tool oil. - Pneumatic tools are very sophisticated tools, do not bump or drop. - Do not use it excessively to avoid danger. AF2000 Compressor Pressure Regulator Pneumatic Air Filter 1/4" PT Pc Joint Free Combination.